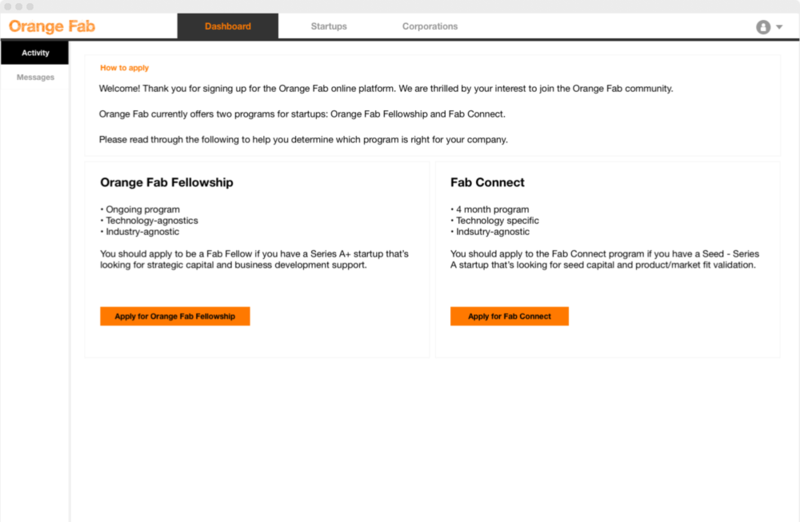 The Orange Fab platform is a software application that hosts Orange Fab's startup database. Orange Fab uses this platform to strategically match corporations with startups whose technologies and products have potential for partnerships and co-developments. Our team created this platform from concept to execution. After defining our objectives and priorities, we needed to figure out what the user groups are. 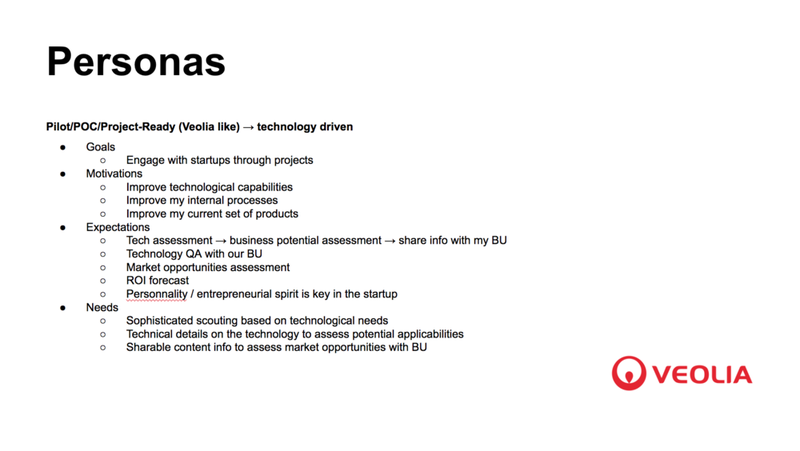 We conducted user interviews with a select number of corporate partners and startups to identify their needs. We worked with cross-functional team members to map out the user groups to ensure the design provoked the desired user reactions and delivers the right information. We realized in the process, that due to the nature of a newly launched program that's still evolving to its optimal form, it was incredibly important for non-design/dev team members to clearly understand the structure of the platform and how it was changing and why. This transparency also helped us with getting executive stakeholder's approval and support. Then we prioritized product features and created a product roadmap. We had a corporate partner conference deadline to meet, so we set a schedule for features to be rolled out gradually. Request to contact form slides in to keep the user on the page.